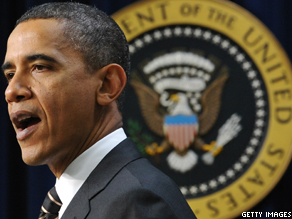 Should failing grades on deficit, jobs and economy cost Obama a second term? President Obama has some serious "issues" when it comes to the economy... and that might translate to "issues" come Election Day. 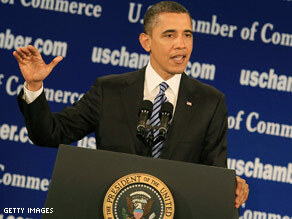 A new Gallup poll shows Americans continue to give the president failing grades on the economy, jobs and the deficit. The president gets high marks for his handling of "terrorism"– 58 percent... and fair marks on "education" - 49 percent... and "foreign affairs" - 48%. But that's where the good news ends for him. On immigration, Mr. Obama gets just a 38 percent approval rating... and it's downhill from there. His worst marks come on "creating jobs" at 37%, the "economy" - 36%, and the "federal budget deficit" - 30%. It's not hard to see why many Americans feel this way... with unemployment above 8 percent for 42 months in a row now and annual deficits topping $1 trillion dollars. This poll also shows that the president's ratings on the economy are much worse than those of prior two-term presidents. President Obama's 36% approval on the economy compares to 46% for George W. Bush, 54% for Bill Clinton and 50% for Ronald Reagan. The bottom line here is millions of Americans continue to suffer under a weak economy, and if they don't get the sense that President Obama is improving their economic lives, it might be a tough sell come November 6th. Here's my question to you: Should failing grades on the deficit, jobs and the economy cost President Obama a second term? Threat of govt shutdown cut $38B: How will serious deficit reduction ever be accomplished? It was close, but less than two hours before the federal government was set to shut down Friday night, Republicans and Democrats came to an agreement on $38.5 billion in spending cuts to the 2011 fiscal budget. All the expected self-congratulatory back-patting and smiles accompanied the deal. Some even touted the measure as creating the largest spending cuts in American history. But let's not forget the fiscal year is half over already, and they've been putting this off for six months. Let's also not forget that when it comes to the debt crisis in this country, the 2011 budget is only the tip of the iceberg. In the eight days leading up to the vote Friday night alone, our national debt rose by $54 billion. We are anticipated to run a deficit of $1.4 trillion this year, so $38.5 billion is chump change. 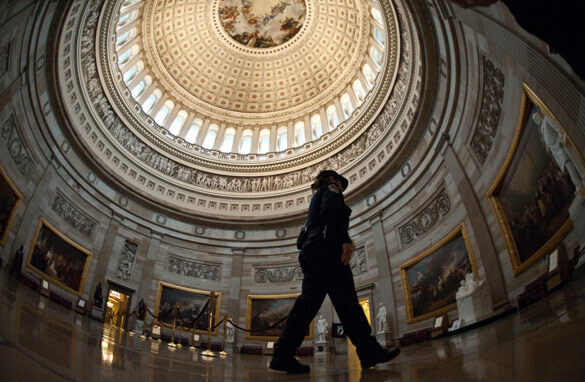 The next big fight on Capitol Hill will be over raising the nation's debt ceiling. 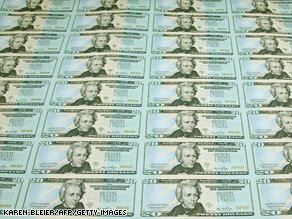 The Treasury Department says we'll reach that limit of $14.3 trillion dollars around May 16. Starting this weekend, Congress will be on a two-week spring break. That makes a lot of sense. That means when they return, they'll only have about two weeks to hammer out a deal before the country runs out of money. 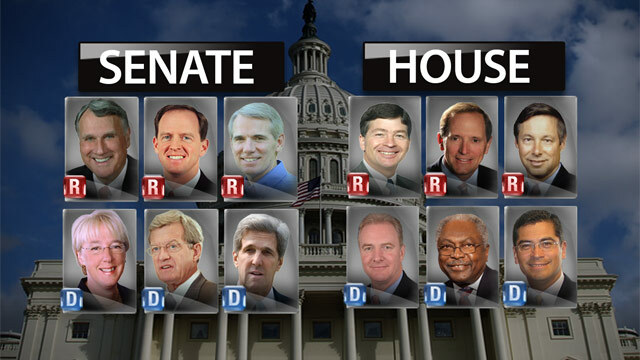 Many Republicans have said they will not vote to raise the debt ceiling under any circumstances. Period. 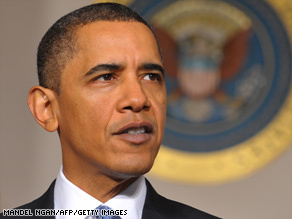 President Barack Obama is expected weigh in on all of this Wednesday in a speech that will lay out his plan for reducing the deficit. The president will propose cuts to Medicare and Medicaid and call for reforms to Social Security. He will also suggest raising taxes for Americans making more than $250,000 a year. All things we've heard before. All things that are needed and, of course, nothing's been done. But Congress is going on vacation. Here’s my question to you: If it takes the threat of a government shutdown to cut $38 billion, how will serious deficit reduction ever be accomplished? Pres. Obama get serious about deficit in his budget? The U.S. is headed for fiscal disaster... and Washington may just watch while the ship goes down. As President Obama gets ready to present his budget next week, it's unclear if he'll propose the tough cuts necessary to start turning things around. The national debt now tops $14 trillion dollars, and there's another $1.5 trillion deficit projected for this year. And while everybody in Washington talks about cutting the deficits, no one really seems to mean it. Plus the public is partly to blame, as well. Polls show nearly 80 percent of Americans say it's more important to prevent cuts in Social Security, Medicare, and Medicaid than to reduce the deficit. So where are our leaders on this critical issue? President Obama all but ignored his own deficit commission. And the midterms caused everybody to look the other way. Now A bipartisan group of senators is pushing to revive key elements of the commission's plan to cut deficits by $4 trillion in the next 10 years. But with a presidential election looming on the horizon - it will be a tough sell. Experts suggest if the president wants to get serious, he needs to be specific in his upcoming budget... like setting targets for how much the government will cut. If Congress doesn't meet these targets, then across-the-board spending cuts should kick in. Meanwhile, as Congress and the president sit on their hands when it comes to government spending, governors are setting a good example. They're slashing budgets, firing people, cutting programs - you know, "REAL" cost cutting. But when it comes to the federal government, all we get is talk. Here’s my question to you: Will President Obama get serious about the deficit when he presents his budget? How serious is Pres. Obama about cutting the deficit? When President Obama announced the formation of the deficit reduction commission, he looked at us all with a straight face and said he was serious about tackling the country's skyrocketing deficits and $13 trillion plus national debt. Apparently that was just another "feel good" moment that meant absolutely nothing. In addition to agreeing with the Republicans to add another $900 billion or so to the national debt by extending the Bush tax cuts, President Obama is also refusing his own deficit reduction commission's call for a summit with congressional leaders to tackle the debt crisis. One person who attended the deficit meeting last week tells Politico that members of the administration who attended - including White House budget director and Treasury Secretary Tim Geithner, "didn't exactly jump at the idea." The commission recently voted 11-to-7 to cut nearly $4 trillion in deficits over the next nine years through spending cuts and tax increases. But they were short the necessary 14 votes to formally recommend any of this stuff to Congress - which can now give the whole idea a wink and a nod as we spiral ever closer to insolvency. Not only has the president rejected the idea of a summit on the national debt; he couldn't even be bothered to attend the meeting last Thursday. Needless to say, committee members were annoyed. One Democrat tells CNN the president should have at least dropped by... you think? President Obama is either getting some very bad advice these days, or his once-keen political instincts have completely deserted him. 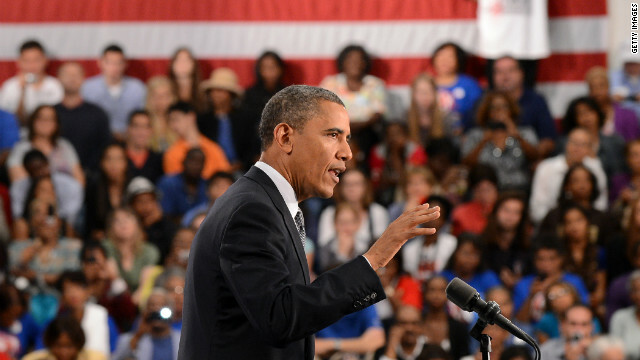 Here’s my question to you: How serious is President Obama about cutting the deficit? Deficit commission a pointless exercise? 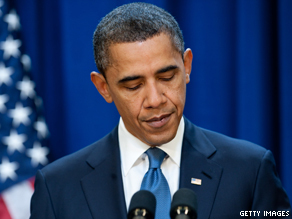 President Obama's deficit commission may be dead on arrival. Apparently the differences among members are so great that the toothless, bipartisan commission canceled its last scheduled meeting tomorrow. Instead, they'll meet one-on-one and try to twist some more arms before the panel's final recommendations are due Wednesday. A piece on Politico.com asks if the panel was doomed from the start. After months of reports about how bitterly divided the commission members are - it's hard to imagine that 14 of the 18 members will come to a consensus on much of anything meaningful. And, this being Washington, there's plenty of finger pointing to go around. There are the Republicans who co-sponsored the bill to create this commission and then voted against it. Some even wonder if President Obama himself designed the commission to fail... to save him from making the tough decisions. He set the December 1 deadline - which meant decisions about the deficit wouldn't factor into the midterm elections. Also, the president has ruled out tax increases for 98 percent of taxpayers. As for the panel itself, Republican members have made it clear they don't want to consider tax increases... while Democrats don't want to touch Social Security - leaving precious little common ground. All this makes it increasingly difficult to believe this commission will make a serious dent in our $13 trillion-plus deficit. Nonetheless, some close to the commission are sounding upbeat - saying they've made significant progress in the last week and that they've "got a chance." Here’s my question to you: Was the deficit commission a pointless exercise from the start? Too late to do anything meaningful about deficit? 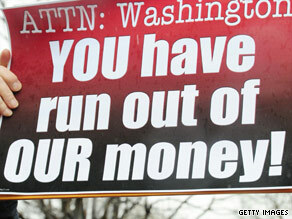 A demonstrator holds a sign protesting the deficit. With the national debt nearing $14 trillion and a deficit of $1.3 trillion last year, Washington is sitting around and waiting for the recommendations from that toothless bipartisan deficit commission. The Wall Street Journal reports that the panel might recommend cutting some key tax breaks – like deductions on mortgage interest, child tax credits and allowing employees to pay for their health insurance with pretax dollars. The panel is also looking at cutting defense spending and freezing domestic discretionary spending. Even if the commission agrees to any of this, good luck getting them through Congress. It's also worth pointing out that this commission is expected to stay away from the real tough issues like Medicare, Medicaid and Social Security. As for the president, the Associated Press reports that after the midterms, Mr. Obama plans to put more emphasis on fiscal discipline in his next two years in office. The president has said that if we're going to get serious about the deficit, we'll have to look at everything – including entitlements and defense spending. He says it will be a "tough conversation." Meanwhile, as candidates and lawmakers spew their ideas about cutting the deficit, experts say all the talk is nothing more than "fiscal fluff." They say ideas like eliminating waste, fraud, abuse, earmarks, tax evasion, or returning unused stimulus funds won't solve our deep fiscal problems. In the meantime, the government keeps spending. Since 2007, when the newly-minted House Speaker Nancy Pelosi vowed there would be "no new deficit spending," the national debt has increased by five trillion dollars. Here’s my question to you: Is it too late to do anything meaningful about the deficit? Tune in to the Situation Room at 6 p.m. to see if Jack reads your answer on air. Voters want deficits addressed, so why does Washington ignore them? Voters are fed up with our lawmakers' inability to take action when it comes to reducing the $1.5 trillion federal deficit. And as The Wall Street Journal reports, it's the voters who appear more willing to take drastic steps to do something about the nation's mounting red ink. The newspaper talked to voters in Virginia, a swing state, who say they're willing to make the tough cuts - from a national sales tax, to budget cuts, to higher medicare co-pays and deductibles. The voters get it even if the federal government doesn't. And Washington really doesn't get it. Our leaders worry about being attacked in an election year if they suggest spending cuts or tax increases. The American people just want their leaders to lead on this issue. Is that too much to ask? That's why they were elected. One independent voter in Richmond, Virginia told the Journal, "I wish the politicians would be hard-[blanks] and be like, 'You know what? It's going to be horrible for the next few years, but you've got to shut up'." Wouldn't that be refreshing? Meanwhile we await the results of Pres. Obama's bipartisan deficit reduction commission - which are conveniently scheduled for release after the November election. And when the recommendations finally do come; most, if not all, of them will have to be approved by Congress. Which will likely render the entire exercise meaningless. Some are suggesting a popular uprising is the only way to get our country back on track. A piece on InfoWars.com suggests "without a revolution, Americans are history." Here’s my question to you: If voters want the deficits addressed, why does Washington continue to ignore them? Is now the time for one of the largest federal payrolls ever? "The era of big government is over"... that's what President Bill Clinton told the nation in 1996... before cutting hundreds of thousands of federal government jobs. But guess what? They're back… and then some. According to President Obama's proposed budget - the number of federal government employees will grow to nearly $2.15 million this year - the largest federal workforce's in modern history. AND - this doesn't even include postal workers or the more than 7.6 million federal contract workers. Since the recession began - 200,000 workers have been added to the federal government payrolls. Have they ever heard of layoffs? During the same time, the private sector was downsizing to the tune of about 7 million lost jobs. With the country looking at a $1.6 trillion deficit just this year - a record - as well as a more than $12 trillion in national debt - also a record - it seems worth asking if this is the right time for more government employees. 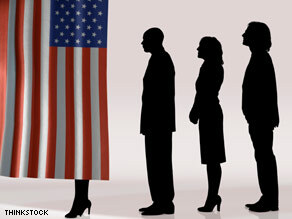 One expert says it's a matter of time before Republicans, Tea Partiers, etc. go after the president on this issue. Perhaps it's time for a federal hiring freeze except for jobs related to national security, public safety, etc. That way the workforce would decline through attrition as older federal workers retire. But that would require political courage. Here’s my question to you: In light of record deficits, is now the time for one of the largest federal payrolls ever? How can U.S. reduce deficit when lawmakers won’t support budget cuts in their own backyards? Turns out some lawmakers are all about fiscal restraint - as long as the cuts don't affect their constituents. Not in my backyard, right? Pres. Obama speaks on the 2011 budget in the White House Grand Foyer. The budget includes billions of dollars for job programs and mandates deficit cutting. Republican Sen. George LeMieux of Florida: He called the president's proposed freeze on some federal spending too little-too late. But now he says the president's proposed $3.5 billion cut in the NASA budget makes no sense. LeMieux says there should be "cost-cutting everywhere;" but apparently that doesn't include NASA. Democratic Sen. Mary Landrieu - often against big government - is criticizing the proposal to end tax breaks for oil and gas companies in her home state of Louisiana. Republican Sen. Jim DeMint - one of the most fiscally conservative of the bunch - says raising taxes on corporations as a way to trim the deficit is the quote "coward's way out." With midterm elections sneaking up around the corner - once again, politics will trump all. To hell with the nation's skyrocketing deficits. These lawmakers talk a good game about cutting spending, but at the end of the day, that's all it is: Talk. Here’s my question to you: How can the U.S. reduce deficits when most lawmakers won’t support budget cuts in their own backyards?